Awesome & chilled place to stay, especially after a busy tour through Uyuni. The staff were all great and helpful, especially Michael & Christopher!!! I’d recommend this place to any travelers looking for an affordable, homey, laid back atmosphere. Thanks for a great stay! El mejor hostal en San Pedro con gente amable! Lo recomiendo! This is one of the best hostels I've stayed in in South America. Great vibes, friendly people, and nice atmosphere. I would recommend! Staff were very welcoming and friendly. The room was neat and decent. 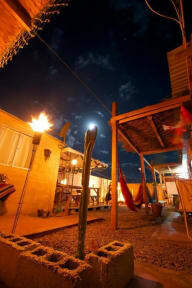 Nice hostel in the desert with a cool atmosphere and a little pool and fire place. Rooms and bathroom were good and clean. Staff was nice and helpful although the tours were more expensive than in the city. Definitely recommend! Great hostel, great outside area to chill out. Really awesome atmosphere. Not really nice common rooms to hang out inside since it gets cool at night. 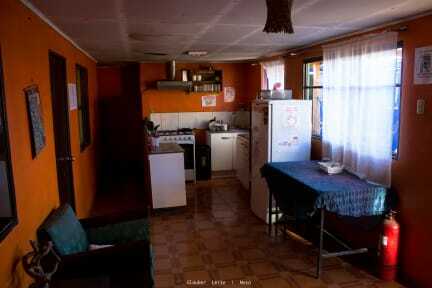 Two communal kitchen where you can cook. You can book tours through them which is really good. Unfortunately it rained the entire time we were in San Pedro and the hostel is not at all equipped for such weather (to be fair, the entire town isn't equipped for it). The electricity was out most of the time, the bathrooms flooded and most common areas are outside so the indoor ones became very cramped. Irrespective of the weather, the rooms are small with nowhere to store your bags, only small lockers outside the room. The staff make up for it somewhat, super friendly and helpful. To be honest the location was not the best, the atmosphere was shocking, the electricity went out at one point; no hot water in the showers. No security the front door and room doors are wide open no locks. I wouldn’t recommend this hostel to anyone.